Although hydropower is older than wind and solar generation and battery storage, its role in Australia and around the world has never been more important. Hydropower is still by far the largest contributor to the world’s total generation of renewable energy. 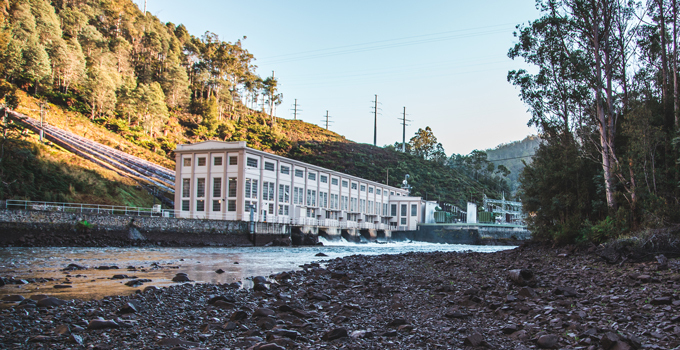 The fact that this old technology is still very much alive today shows that hydropower can stand the test of time and help us meet the challenges of the future. As the proportions of solar and wind generation rapidly rise, and as we see a gradual retirement of existing thermal generation and reduced construction of new thermal generation, the role for hydropower – both in Australia and internationally – continues to broaden and build. There’s no need to see rapidly emerging and increasing new technologies as a threat to hydropower. This isn’t a winner-takes-all environment. 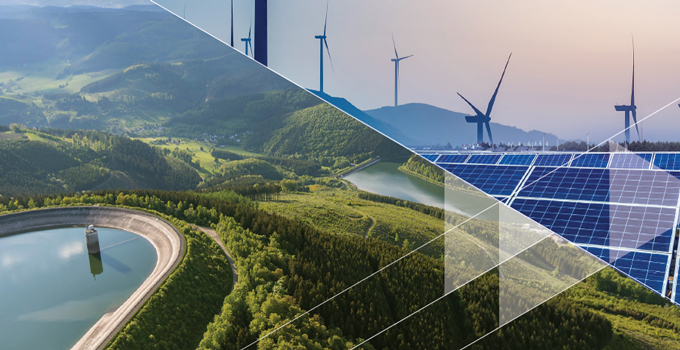 Rather, new opportunities are emerging for hydropower as an enabler of integrated renewable developments by providing the storage needed to smooth the intermittency of weather-dependent renewables – creating ‘dispatchable’ renewable energy. In the last couple of years, particularly since blackouts in South Australia in 2016 and nationwide rises in electricity costs, debate about energy affordability, sustainability and reliability has become both mainstream and continuous. The pressure has never been greater to find the cheapest, cleanest power that is available whenever and wherever it is needed. It is well known that traditional hydro schemes can provide baseload power or peaking power, grid stability services, and availability to fill in the gaps when intermittent renewables aren’t generating. However, the recent resurgence in interest in pumped hydro offers something extra: the ability to use excess available generation from wind and solar to pump water uphill into storage so that it can be used for electricity generation later – and this is why it can be described as a ‘battery’. But how does pumped hydro compare with ‘actual’ batteries? Will rapid improvements in battery technology displace pumped hydro as a preferred storage solution? Technology is advancing very quickly in batteries, but I’m convinced that there are still some major differentiators that create space for pumped hydro. One advantage is that we have a greater understanding of pumped hydro’s lifecycle costs and sustainability, whereas there are still a number of uncertainties in this respect for newer technologies such as batteries. Also, critically, while batteries may be a good solution for low-power, short-term storage, they are not yet capable of providing the frequency and voltage regulation required by a grid with a high proportion of intermittent renewables. Batteries also typically cannot supply the significant level of output over a longer duration that pumped hydro energy storage or traditional hydropower can make possible. Pumped hydro and modified traditional hydropower solutions will be needed for smoothing daily variability as wind and solar plants expand in number and size. And it is really only traditional hydropower with large reservoirs that will be able to provide the multi-day storage needed in extreme events of both low wind and low solar. Achieving full dispatchability of combined wind and solar PV power will depend on utilising pumped hydro storage and existing hydropower storages to their full potential. If the future of both traditional hydropower and pumped hydro is strong, why have no new pumped hydro projects been built in Australia in thirty years? What is needed to not only get it going in Australia, but also to make sure we get it right? I believe that three crucial elements to realising hydropower’s future and ‘getting pumped hydro right’ will be identifying the most viable sites, developing a sound business case, and ensuring that we invest in the skills and capacity we’re going to urgently need in the future. A critical element for pumped hydro success is identifying a viable project – where the right site and the best design can come together into an optimal mix of capacity and cost. Entura has done a lot of work in this area, and we have developed a methodology to filter the many hundreds of potential pumped hydro sites across Australia down to the most ideal. This methodology has enabled us to develop a real-world, relevant and practical pumped hydro atlas of Australia identifying project opportunities from many thousands of theoretical possibilities. 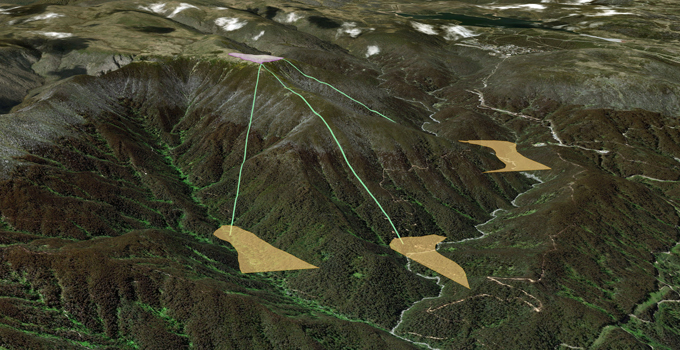 Our atlas has already been used to shortlist potential pumped hydro sites for the Battery of the Nation initiative in Tasmania, and it identifies many more promising sites and opportunities for developers in states such as South Australia, New South Wales and Queensland. And the nation has room for many more batteries. We’ve often said that a project won’t get over the line on the base of technical viability and environmental benefits – in the current market, the dollar wins. So pumped hydro needs some level of predictability in its revenue streams. As the dynamics of arbitrage change, we need to explore a range of other revenue opportunities. And that’s a complex forecasting challenge. Part of the solution may be price insurance and a value placed on providing network support services and firming. Another part is behind-the-meter generation and integration – such as in the Kidston project, in which pumped hydro is coupled with a large-scale solar farm, and potentially wind generation, to form a renewable energy hub. To me, a third critical component is investing in talent, skills and capacity. This is a global issue as much as an Australian one. To prepare our industry to adapt to change as well as to drive further change in the sector we will need to harness talent and upskill and transition workforces. This is the kind of strategic whole-of-business workforce planning that we encourage our clients to adopt, and it will be crucial over coming years and decades. I am excited about the future of both traditional hydropower and pumped hydro. I firmly believe that if we value hydropower as a key player in the future mix of technologies in our energy markets, we can solve the energy trilemma at home and around the world. Tammy Chu is Entura’s Managing Director. She leads Entura’s business strategy, performance and services to clients, and is part of Hydro Tasmania’s Leadership Group. Tammy joined the business in 2000 and has held a range of positions at Entura, from Technical Professional to Project Manager, Business Development Manager and Water and Environment Group Manager.